The Nashville Sounds continued their march toward the Pacific Coast League playoffs Sunday with a 6-2 road victory over the New Orleans Zephyrs. It improved their record to 61-48 and gave them a nine game cushion in their division with little more than a month of the regular season remaining. In fact playoff tickets go on sale August 15. At times offense has been one of their few problems this year, but that certainly wasn’t the case Sunday. They had 11 hits for the game, and jumped ahead quickly with a three-run third inning. Colin Walsh’s leadoff home run, his second of the year for the Sounds, got things started. Then Jacob Brugman added a two-run double, scoring Arismendy Alcantara and Tyler Ladendorf. An Isaac Galloway solo homer in the bottom of the third inning temporarily gave New Orleans some offensive life, making it a 3-1 game going into the fourth. But the Sounds’ Matt McBride extended the Sounds lead to four runs with a two-run homer, his sixth. Both McBride and Joey Wendle, who’d previously singled, scored on that blow. Wendle would add an RBI double in the fifth, scoring Chad Pinder. Pinder had singled and stolen second. His run made it 6-1, and New Orleans would add one meaningless run later. Chris Jensen’s had a rough season, but he was solid throughout in this one. He surrendered only the one run, giving up his fourth homer. He’s now 2-4 with a 3.76 earned-run average. Jensen pitched six strong innings, giving up only three hits and striking out one hitter to post his sec- ond victory as a member of the Sounds. Nashvillian Andrew Triggs retired New Orleans in order in the seventh inning. Angel Castro had the final two innings, giving up no runs in the eighth and the final tally in the ninth. Destin Hood’s single scored Xavier Scruggs, but that was the only scoring that New Orleans could get in the inning. The Sounds continued their four game series with New Orleans on Monday and Tuesday nights. The long road trip then continues with a four-game series at Colorado Springs that runs until Sunday. 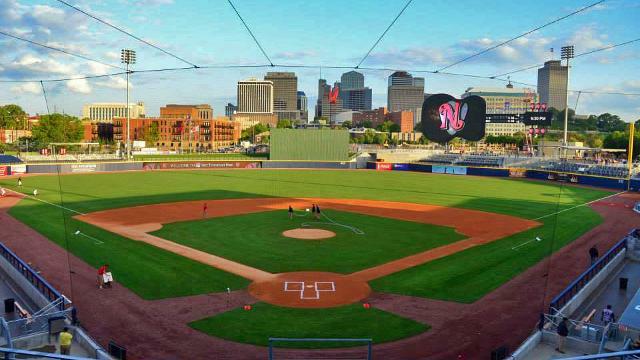 They won’t re- turn to Nashville until August 12, when an eight-game homestand begins with four against Reno. That’s followed by another four against Tacoma, before they return to the road against Omaha. While no one wants to sound any notes of overconfidence at this point, or of proclaiming that they are the best team in the PCL, this edition of the Sounds is a definite pennant contender. After last year’s extremely dismal inaugural season at First Tennessee Park, Nashville has a team every bit as exciting and first rate as its ballpark.